Pitty Sing's Paul Holmes, the band's principal songwriter and vocalist, will gladly talk about his band's new album, the self-titled full-length that showcase's Holmes' ability to write a tremendous hook, with both substance and radio viability polish (a rare combination these days). 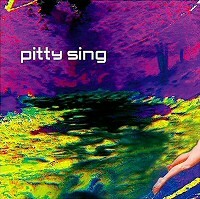 Comprised of Brit-pop, modern rock, and even some dance-pop for good measure, Pitty Sing is an anomaly; an "indie-rock" record that is far from anything indie, more suited for the glitz of modern rock radio than hipster papers with Pabst everywhere. But, it is still a strong, memorable record that thrives in this setting, where others flounder. "A bunch of label stuff and trying to shop for a major," Holmes responds, when asked why the record was recorded two years ago but is just now coming out. "It doesn't make sense to me why it took so long to come out. But, it's out now. We're still trying to get a major to push it since radio is so corrupt." Pitty Sing is one of those bands. A band that, though they won't have a hard time finding their audience once people hear them, will never be the flavor of the week -- or the hip band you worship to get into a chubby indie rock girl's pants. No, they are a band that will do moderate on an indie level, but given the chance to excel to the next level will flourish. And, as Holmes said, with radio being so corrupt, it will undoubtedly take a major to break this band. "We did the record two years ago and I'm ready to move on. I want the listeners to be where I'm at," Holmes says with some disappointment. "I want them to hear what I'm doing now, but we have to go out and play and promote this record." Many bands have folded under pressures less than this. A record is shopped around, no majors bite, and so, instead of "settling" for an indie, the members go their separate ways. Pitty Sing, however, said it was business as usual, for the most part. "It didn't kill the energy of the band," he says of the delay in the record coming out. "But it killed my personal energy. We never really doubted it though and we're very excited to produce what we can produce. I see this first record as a lesson." One of the lessons Holmes has learned is about songwriting. He admits the self-titled record was written when a time when he was younger and more angry, and he says the next record will reflect that maturity, but he has to still go out and promote these songs when he feels the next record will even blow this one away. "All I do is write. I have so much stuff backed up. I know what singles I want on the next few records," Holmes laughs. For a man with a new record just released, Holmes seems to think a lot more about the new record than he does the current one. Still laughing, Holmes tells me, "'I'm very passive about [the new record] and don't let the ambition get in the way of it." "Don't get me wrong," he continues. "I'm happy with it. It's good as a whole. But, I'm ready to bring to the fans the good stuff." Part of Holmes' reluctance to really focus on the new record is that it is so polished, in a sense made for modern rock radio, that they're unable to play them live, except in bigger clubs. "We do strip them down live, but most people wouldn't know how we originally did them, so you couldn't notice a difference," Holmes admits. "I like the difference live because they're different, but when I put them on the record I'm glad they're produced because I don't want to sound like everyone else." Paul and I then start discussing indie rock and indie purists' attitude for his band, something he finds hilarious. "I'm glad the record is so produced and everyone hates us for," he says with laughter. "Without realizing it, I think people like the record without really thinking about it, since the record is so perfectly placed," he adds. The band hadn't been playing out a lot when the record first hit, but now that the band is touring and playing out more, he says the band is converting new fans each day. In place of touring, when the record first hit, the band thought the way to go was working a song to commercial radio. 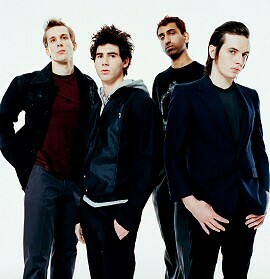 Their indie label, Or Music, chose "Radio", a bona fide pop song, to alternative rock. Something they now look back on and regret. "'Radio' is too grandiose. It was our first single and we worked it to alternative rock, but it's pop," Holmes informs me. "We are going to try and push it to pop, which I think we should have in the first place. Enough people told us that and now we're doing it." "It's the oldest song on the record and just happened to be the single. We didn't write it to be the single or anything," adds Holmes. The bands current plans include touring the East Coast with Futureheads, and hopefully a full U.S. tour in the future. "The next record will be really ambitious in the way that Michael Jackson's 'Thriller' was ambitious. I don't think people will classify it as rock, it will be pop, but what pop is supposed to be. It won't be what's hip. I'm having nightmares about hipsters."